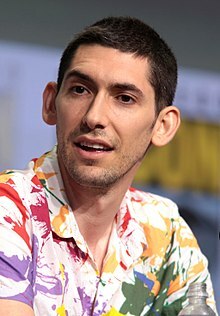 ^ Max Landis. IMDB. [2017-11-10]. ^ JWeekly: "celebrity jews" by nate bloom 2012-02-02. ^ JSpace: "Forbes Features Members of the Tribe In 30 Under 30" 互联网档案馆的存檔，存档日期2012-01-30. 2011-12-29. ^ Script Magazine: Mad Max 互联网档案馆的存檔，存档日期2011-05-04. ^ The Amazing Origin Story Of A Hollywood Wonder Boy Learning To Use His Powers For Good, Not Evil. BuzzFeed. [2016-04-14]. ^ Hipes, Patrick. ‘Channel Zero’ Anthology Series Gets Greenlight From Syfy For 2-Season Run. Deadline. 2015-11-18 [2016-10-08]. ^ Littleton, Cynthia. BBC America Gives Series Order to ‘Dirk Gently’s Holistic Detective Agency’. Variety. 2016-01-08 [2016-10-08].